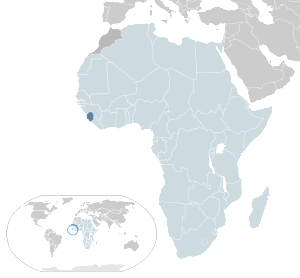 A team of American physicians are preparing to bring ozone technology, treatment and training to West Africa against the deadly ebola virus. 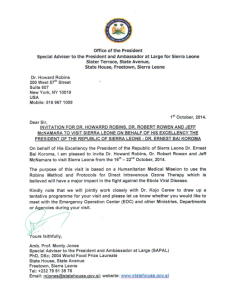 Dr. Howard Robins, Dr. Robert Rowen and Jeff McNamara have been formally invited to Sierra Leone by its president, Dr. Ernest Bai Koroma. The purpose of this visit is based on a Humanitarian Medical Mission to use the Robins Method and Protocols for Direct Intravenous Ozone Therapy which is believed will have a major impact in the fight against the Ebola Viral Disease. According to Newsmax Health, the doctors will also be traveling to Nigeria to train physicians there. Between now and the team's October 17 departure for Africa, they will be raising funds for supplies, including HAZMAT suits, IV needles, syringes, gloves and more. Longevity Resources of Canada has donated 10 machines to the mission. A series of events has coincided fortuitously to make possible a mission to change the face of history. We are witnessing an unprecedented catastrophe in West Africa, which potentially threatens the entire world, should the killer virus move out of the endemic area. The death rate is between 50-80%. Health workers are falling like flies and there could be a melt down of civilization in several countries as the epidemic grows. I don’t need to explain more, I’m sure. I approached the embassy of Sierra Leone a few months ago about volunteering to go to the country to use ozone in an effort to save lives. My first approach went nowhere. However, Providence has provided, unexpectedly, a second shot. An ozone device maker (purification of water) contacted me about a friend of his in Sierra Leone who owns two hospitals and is well aware of the power of ozone to disinfect and heal. The situation there is desperate. The doctor has lost a good friend of his, a nurse, to the disease. He became desperate to implement ozone therapy to save lives and I was put in touch with him. Simultaneously, I was at a meeting in Cuba of the International Association of Ozone in Health and Dentistry where I spoke together with Howard Robins, DPM of New York. Dr. Robins has pioneered a simple ozone delivery method costing mere pennies that, we both believe, will take out ebola in a patient about as fast as it came in. Of course, the earlier the patient is treated, the better. There is no known cure, and Pharma will likely come up with little except toxic treatments and medicine only has “supportive” care. Much more can be done, if medicine pundits could somehow think out of the box, or look for answers away from the people who have given no answers to our serious dis-ease issues. The doctor in Sierra Leone has met with the highest levels of government there and we are being welcomed with open arms and an invitation to attempt some “miracles”. Those of you who have visited my YouTube channel have seen routing “miracles” of oxidation therapy. I do expect nothing short of the same, and for that reason, Dr. Robins and I have just confirmed a trip the third week of October to Sierra Leone to train as many health professionals from West Africa on ozone therapy as the local doctor can attract. We will go the heart of the danger zone on a mission that we believe will change the world and the world of medicine forever. We don’t have great fear, as we have both been using ozone for decades and will treat each other every day while there, and continue treatment afterwards. We need your assistance. We will not get it from agencies, governments, Pharma, etc. Robins and I, and an ozone purification expert, Jeff McNamara of Colorado will pay our own way. We need your help with desperately needed supplies and HAZMAT suits, which are totally absent!!!!! We need to acquire IV needles, syringes, gloves, nutritional supplements and other supplies, and do it urgently. We leave on October 16. Dr. Robins will stay for 5 days. I will stay for 7, 2 additional days to train as many as I can, and observe the effects of our treatments. Dr. Robins has set up a means of donation to the project, which is tax deductable. He is a big time Rotarian and you can make a check out to the Central Nassau County Rotary Club Foundation and mail it to Dr. Robins at 200 West 57th Street New York, NY 10019. I promise you that your donation will be used for supplies and equipment and not our costs. This mission is the culmination of my life’s medical work. I invite you to join in and assist us in changing the paradigm of medicine on this planet forever. Sadly, it has taken a horrific virus like ebola to make an opportunity like this possible. We must seize the opportunity to transform a regional calamity into a new beginning of medicine on this planet. The whole world will watch and immediately know of any positive progress in the lethal condition, as all of us might be threatened if we don’t do now what we know will likely cure the disease, before it is a pandemic. Thank you for your generosity from the bottom of my heart. The United States maintains a “sick care” management system whichj is designed to maximize profit and rely on toxic substances to “treat” patients. When I saw what Dr. Robins is doing, I immediately remarked to my wife that this is a great opportunity to break the drug cartel’s hold on the people. I am sure the ozone treatment will be successful. The Club of Rome thinks the world is over-populated, and I think the Zero Population Growth factions will try to suppress any good news. God bless and good luck!